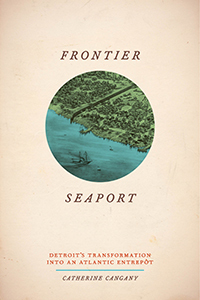 Notre Dame Historian Catherine Cangany’s first book, Frontier Seaport: Detroit’s Transformation into an Atlantic Entrepôt, posits that 18th-century Detroit—600 miles inland—could be seen as a coastal town. Founded by the French explorer Cadillac in 1701, Detroit was also a culturally, religiously, and racially diverse community from its beginning, she said. “Cadillac envisioned the settlement as a place where French and various native groups would live and trade together.” By the time of the American Revolution, there also were substantial populations with British and African ancestry. After the Great Fire of 1805, when Detroit burned to the ground, it was rebuilt in an East Coast metropolitan style. Although it no longer looked like a French colonial city, Cangany said, it clung to its frontier and French associations and behaviors. When Detroit was founded in the early 18th century, Europe had nearly exhausted its supply of fur-bearing animals and looked to its American colonies for alternative sources. The city was soon at the center of the prosperous fur trade, Cangany said, linking the American frontier with distant countries. That industry had nearly vanished by the time Michigan became a state in 1837. The infrastructure left behind by the fur trade, however, helped Detroit retool as it transitioned into manufacturing—first, ‘frontier’ goods like moccasins, then stoves, and more recently automobiles and munitions. Cangany’s research on these frontier goods inspired her current project, An Empire of Fakes: Counterfeit Goods in Eighteenth-Century America. “When I was working on the Detroit book in 2008, moccasins were all the rage again in the U.S. and in France—a trend that harkens back to colonial Detroit,” she recalled. “As with modern moccasins, many of which are made in China, one of the things that fascinated me about colonial moccasins was their ‘counterfeit’ nature. 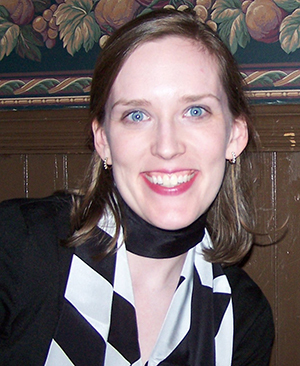 Cangany, who specializes in the cultural and economic history of the early United States, won a fellowship from the American Council of Learned Societies to conduct research on colonial counterfeit goods for the 2013-14 academic year. Originally published by Mike Danahey at al.nd.edu on November 05, 2014.